DO go chasing waterfalls! 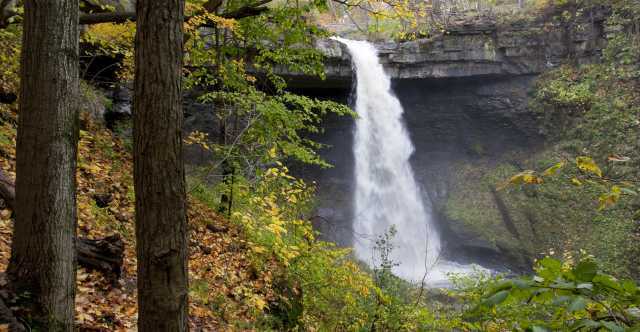 Cayuga County offers several waterfalls that will not disappoint. If you are looking for a tranquil hike where you can have the trail all to yourself, then check out Fillmore Glen State Park in Moravia. Or are you up for more of a challenge? If the answer is yes, then Bahar Nature Preserve offers a dramatic gorge that feeds into Skaneateles Lake. There are plenty "off the beaten path" experiences here in the Finger Lakes. So, pack up your camera and hiking boots and hit the trail in search of some spectacular scenery courtesy of mother nature. Carpenter Falls - A difficult trail leads to a breathtaking horseshoe gully with a powerful 90 foot ribbon plunge and a 62 foot freefall/cascade. The large cap rock allows visitors to walk behind the falls (with caution). Decker Creek Falls - One 10 foot and one 6 ftoo waterfall only 1/2 mile from Montville Falls. 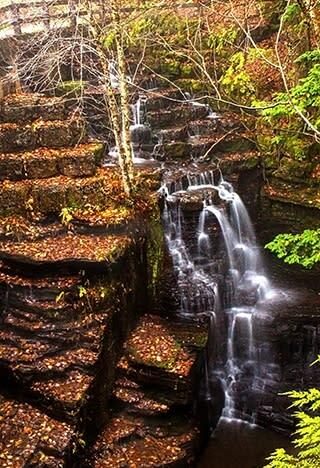 Fillmore Glen State Park - Similar to Watkins Glen and Stony Brook. A glacier-carved glen with Cowshed Falls located at the bottom of the gorge. 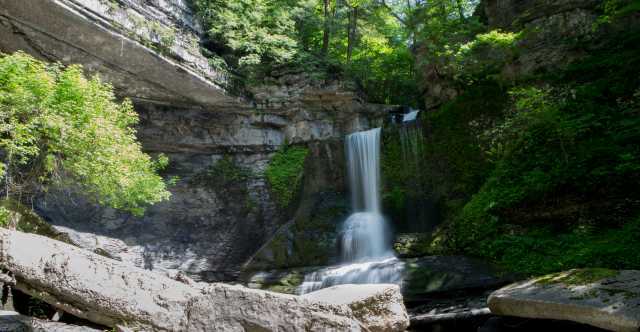 Great Gully Falls - This deep ravine offers 3 small cascades and one 20 foot plunge. The majority of this gully is on private property. Montville Falls - A giant 75 foot cascade. Decker Creek falls is nearby. 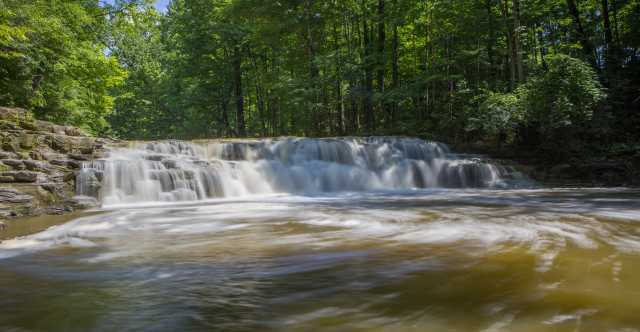 New Hope Mill Falls - Two man-made falls help power an historic mill still in use today. Want the inside scoop and helpful tips to make your quest for that picturesque waterfall a success? 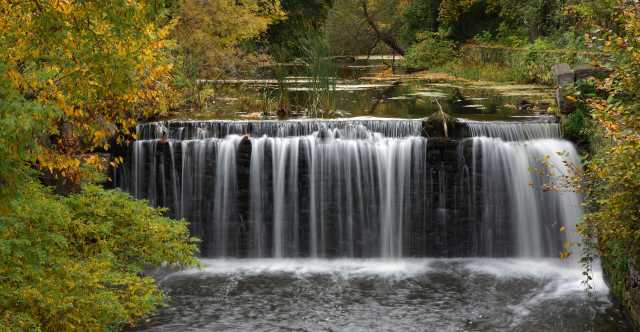 Visit nyfalls.com for a full list of waterfalls in Cayuga County.